The Qupit boiler gateway “Adam” is a brand independent online monitoring system for existing heating systems that communicate via the OpenTherm protocol. The boiler gateway is placed between the existing thermostat and the central heating boiler and logs the communication in between and can be connected to the internet to enable remote monitoring and/or control of the system. 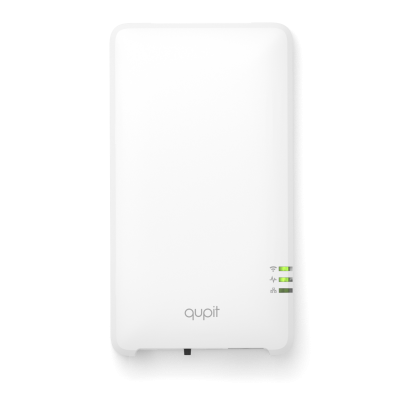 With the Qupit app, the end user can control the room setpoint* from home or any other location, and easily program a temperature schedule. * You can only set the temperature and a schedule if the thermostat supports the setpoint override functionality.